And assemble they will May 4, when Marvel Studios unleashes The Avengers upon an eager populace. The Avengers is a superhero megafilm, combining several of Marvel's wildly successful film franchises into a slam-bang ensemble action film sure to impress even the pickiest moviegoer. For the first time ever, Iron Man (Robert Downey, Jr.), Captain America (Chris Evans), Hulk (Mark Ruffalo), Thor (Chris Hemsworth), Nick Fury (Samuel L. Jackson), Black Widow (Scarlett Johansson), and Hawkeye (Jeremy Renner) will share the silver screen, joining forces to combat Thor's trouble-making brother, Loki (Tom Hiddleston). If you've never read an Avengers comic, you might be thinking that a team of superheroes tasked with fighting Loki might be overkill — after all, didn't Thor defeat Loki all by himself? Sure he did, sure he did. But that was before Loki got his conniving hands on the Cosmic Cube! What the hell is the Cosmic Cube? Oh geez, this might take some explaining. Strap in, film fans: it's time for another edition of Behind the Camera! Assembling the Avengers: You Kids Play Nice! The Avengers are a team of already-established superheroes who made their debut in 1963. Back then, the team consisted of Iron Man, Ant-Man, Wasp, Thor, and the Hulk. Captain America would join soon after, assuming a sort of leadership role within the team. The Avengers were initially assembled to — you guessed it — fight Loki. The Avengers roster is anything but permanent, though. The team is manned by a revolving door of heroes, anti-heroes, and former villains. 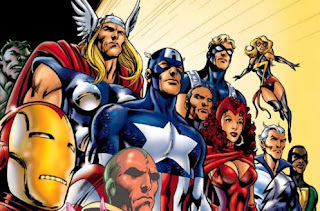 If there's a semi-well-known character in the Marvel mythos, chances are that character has, at one point or another, been a member of the Avengers. The Avengers! Featuring Stinky Guy, Old Dude, and newcomer The Flab! The upcoming film, however, takes some liberties with the formation of the team and its initial roster. Instead of our heroes being goaded into battle by Loki, they are gathered by Nick Fury and S.H.I.E.L.D. as a specialist team. And instead of Iron Man, Ant-Man, Hulk, Wasp, and Thor, we have Iron Man, Captain America, Thor, Hawkeye, and Hulk. Ant-Man and Wasp — two founding members — are nowhere in sight. Though, if you're familiar with the characters, this might just be a good thing. "Don't worry! My trained ants will ... uh ... ruin Loki's picnic?" Now don't get me wrong. 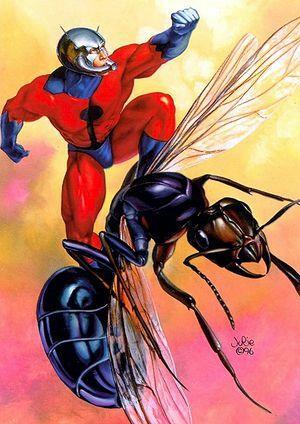 Ant-Man and Wasp are fun comic book characters, and I enjoy them in their roles as members of the Avengers. But within the film franchise, they just don't work, and I think most comic fans will agree with me on this one. The Cosmic Cube: Unlimited Power! 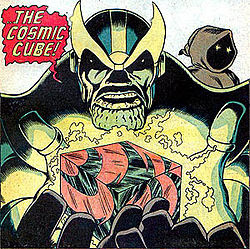 The Cosmic Cube is a long-standing MacGuffin in the Marvel universe. In appearance, it's a shiny cube. In practice, it gives form to any wish, making it reality. So naturally, tons of Marvel villains have utilized it over the years, as it's easily one of the most powerful relics in the universe. Within the movie universe, the Cosmic Cube has showed up on three occasions: once in Iron Man 2, once in Thor, and it was used by Red Skull in Captain America: The First Avenger. In Iron Man 2, a "hypercube" is mentioned in Howard Stark's notes, which Tony Stark skims over. This was further developed in Captain America: The First Avenger, when Howard Stark recovers the Cosmic Cube from the bottom of the ocean while searching for Captain America. The Cosmic Cube is a huge plot device in that film as well, being discovered and used by Red Skull and Hyrda in their almost-alien technology. It's called the "tesseract," and appears to be of Asgardian make in the film. "Finally, I can be free of The Matrix." Granted, in Captain America: The First Avenger, Red Skull uses the Cosmic Cube as more of an energy source than a wish-granter, but I don't think this goes against the relic's comic book origins. 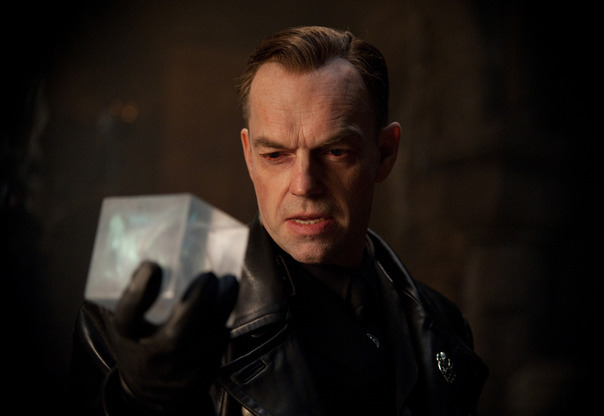 After all, Red Skull wanted unlimited power — the Cube certainly supplied it. Finally, in the post-credits scene featured in Thor, when Erik Selvig (controlled by Loki) visits a S.H.I.E.L.D. installation, Nick Fury opens a small case, containing Stark's hypercube. Erik asks what it is, to which Fury replies "unlimited power." And then Loki's all, "I can has?" If we put all these pieces together, the plot of The Avengers starts to come into focus pretty clearly. Loki will use the power inherent in the Cosmic Cube to rain some chaos down on the realm of Earth. With the Cube, Loki, an already-powerful Asgardian (or frost giant, whatever), will be almost unstoppable — much too powerful for any one hero to face. What will Loki use the Cube for? Will he raise an army, attempt to turn the Avengers against one another, build a doomsday device? By Odin, will he do all three and more? We'll have to wait until May 4 to find out, but rest assured it'll be apocalyptic. And that, my friends, is why the Avengers assemble. Now if you'll excuse me, all this typing has made me hungry, and I've got to assemble a sandwich.